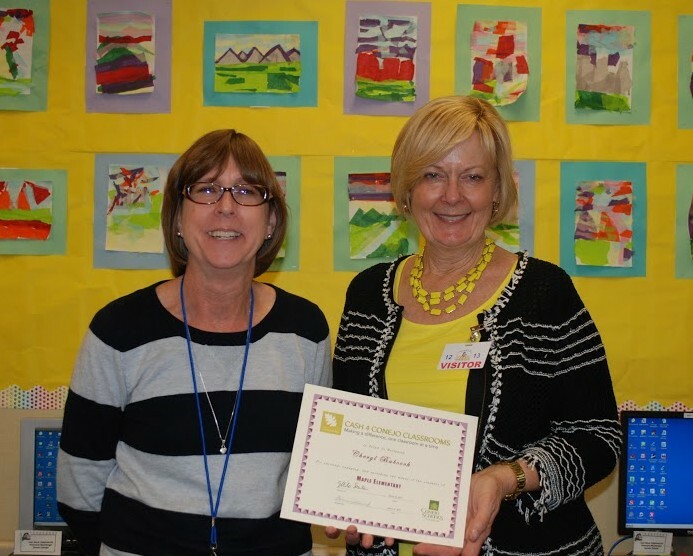 Cash 4 Conejo Classrooms is pleased to again provide support to the wonderful scrapbooking projects going on in 3rd grade at Ladera. 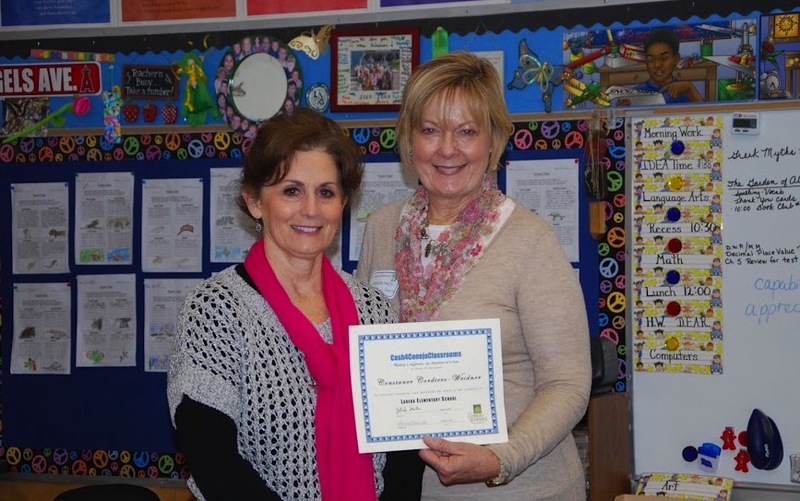 Congratulations to teachers Constance Cordeiro-Weidner and Randee Levy for their effort to create a fun and memorable enrichment activity that students will long remember. 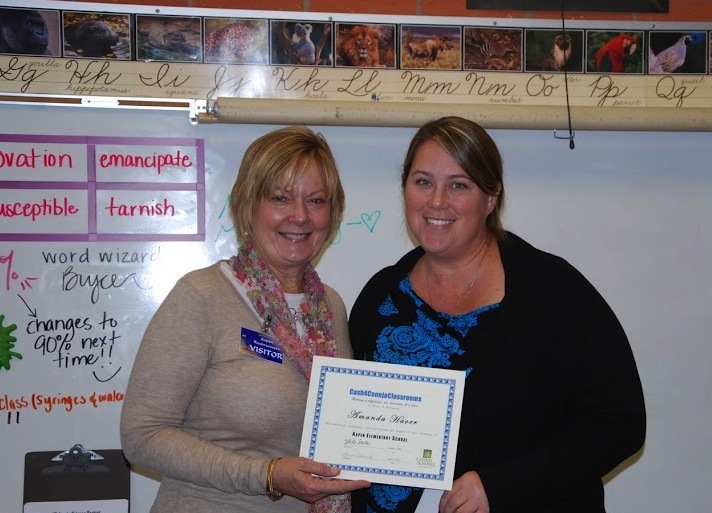 Ms. Weidner receives her grant for the project she designed for her 3rd graders, based upon the book, Discovering the Story of the Conejo Valley, by Miriam Sprankling. 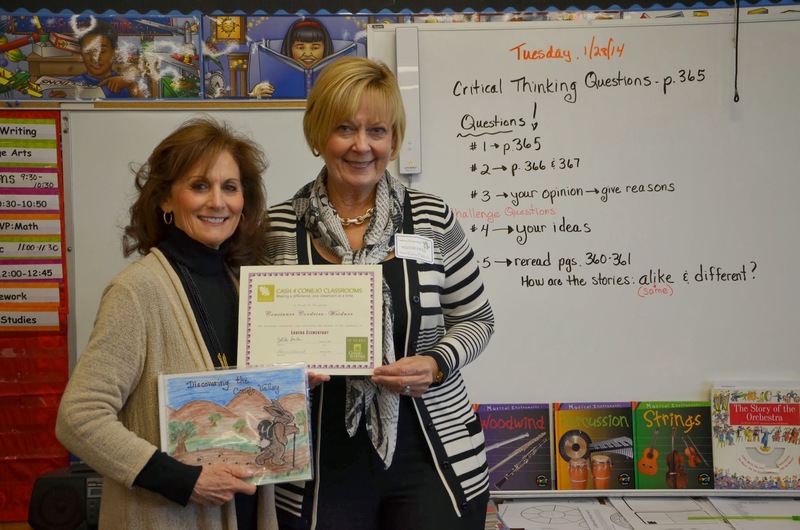 She is holding just one of many beautiful books created by her students that will become lasting keepsakes. 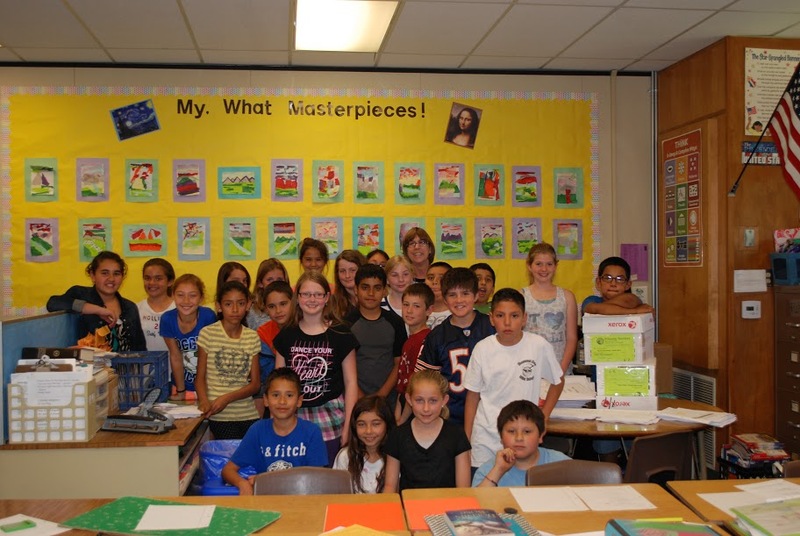 Ms. Weidner’s students are so enthusiastic about making scrapbooks while studying the history of the Conejo Valley. 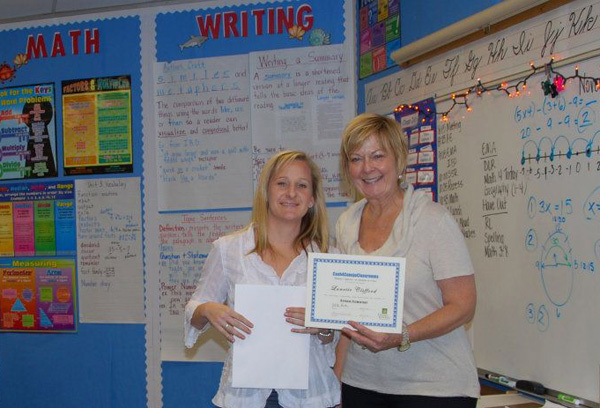 This year fellow Ladera 3rd grade teacher Randee Levy will also make these scrapbooks with her students. She is very enthused about the project. 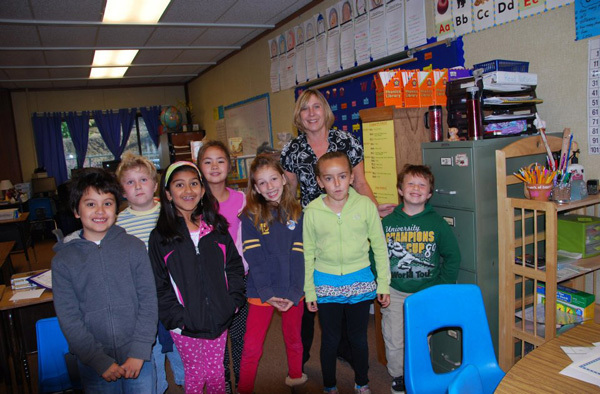 We are happy that both classes will be able to participate! 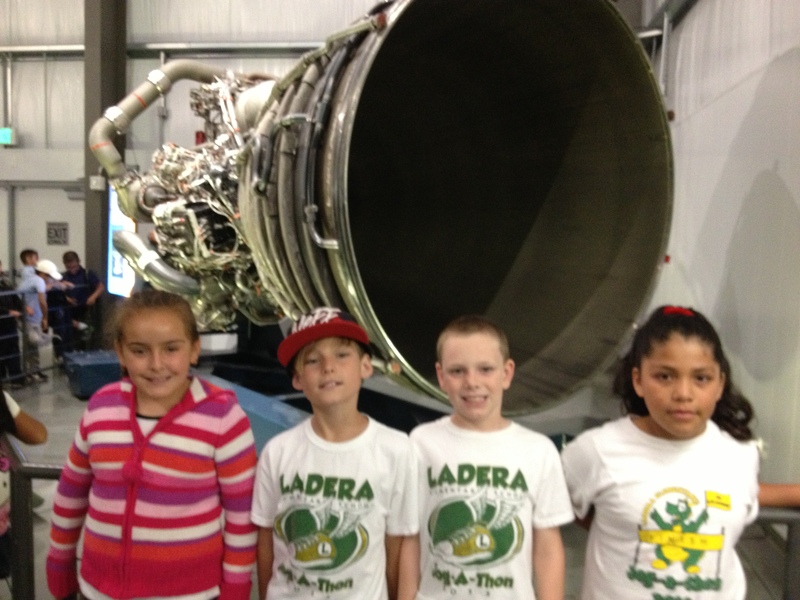 At the end of the school year, Ladera 3rd grade students went on a field trip to the California Science Center and the Space Shuttle Endeavor, funded by a C4CC grant awarded to 3rd grade teacher Stephanie Lopez. 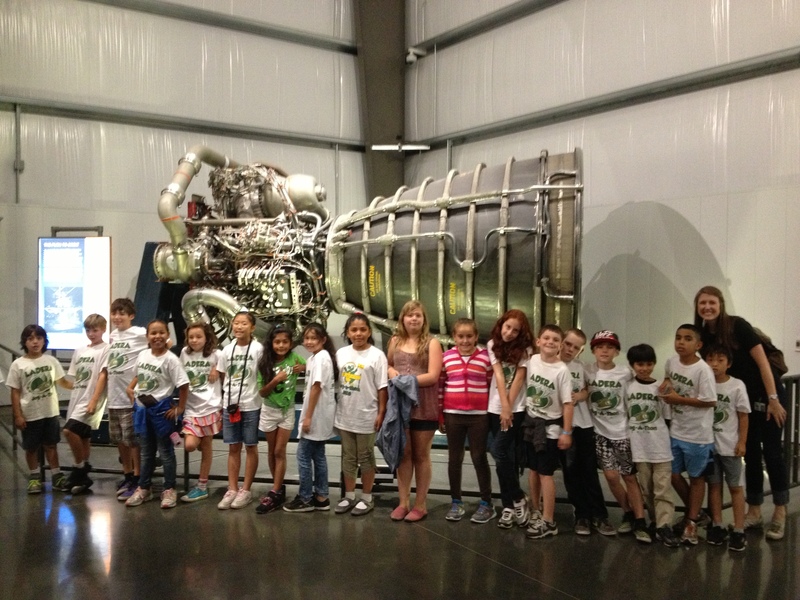 Ms. Lopez’s class have a photo op in front of The Endeavor. 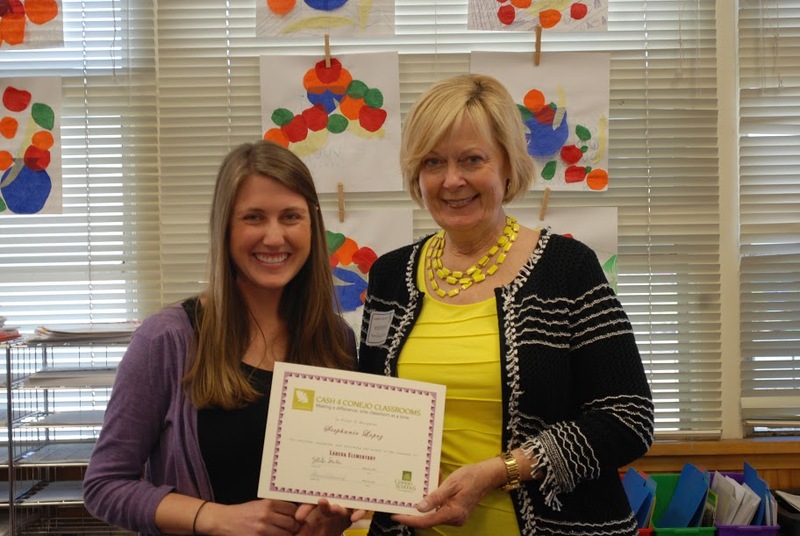 3rd grade teacher Stephanie Lopez at Ladera Elementary received a grant for science. 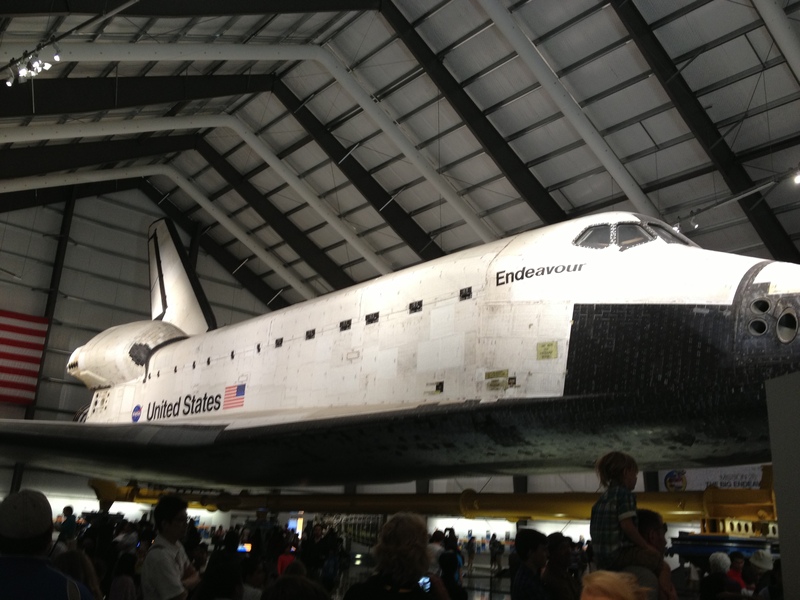 Ms. Lopez’s students will visit the California Science Center and Endeavour Space Shuttle this spring. 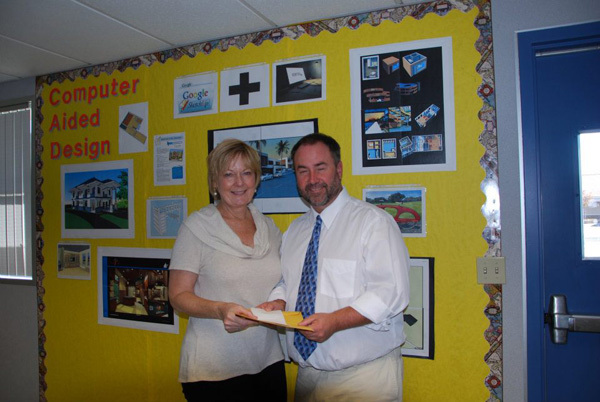 Cheryl Babcock, 5th grade teacher at Maple Elementary, received a grant for video equipement. 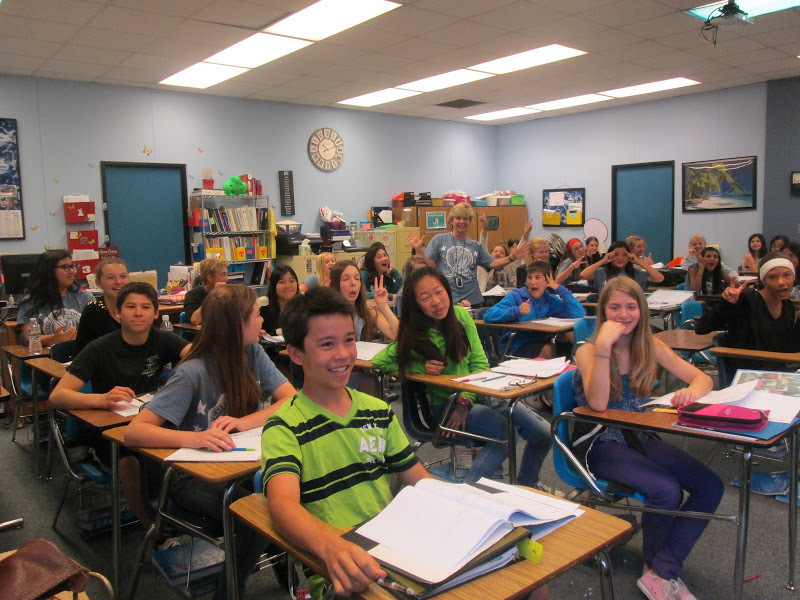 Ms. Babcock’s class will enjoy using a flip camera to capture oral presentations in language arts, math, social studies, and science. 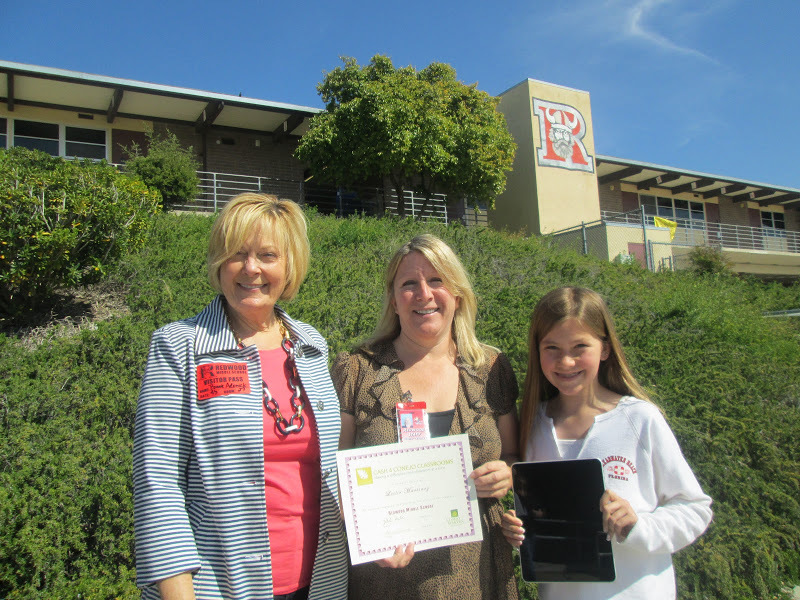 Teacher Leslie Martinez of Redwood Middle School, shown with one of her 6th grade students as she received a grant to acquire gently used iPads, which will be used in reading instruction. 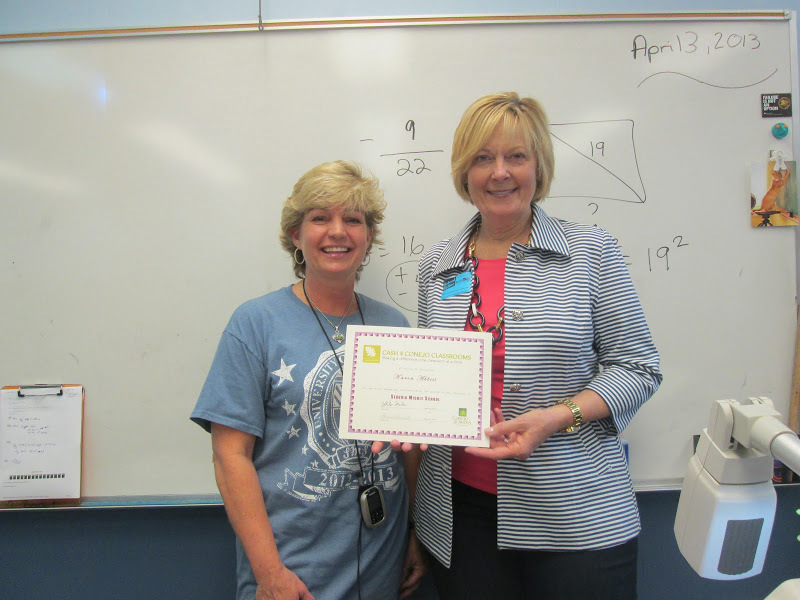 Karen Abbitt at Sequoia Middle School received a grant to purchase supplies for the math department’s annual “pi” night. 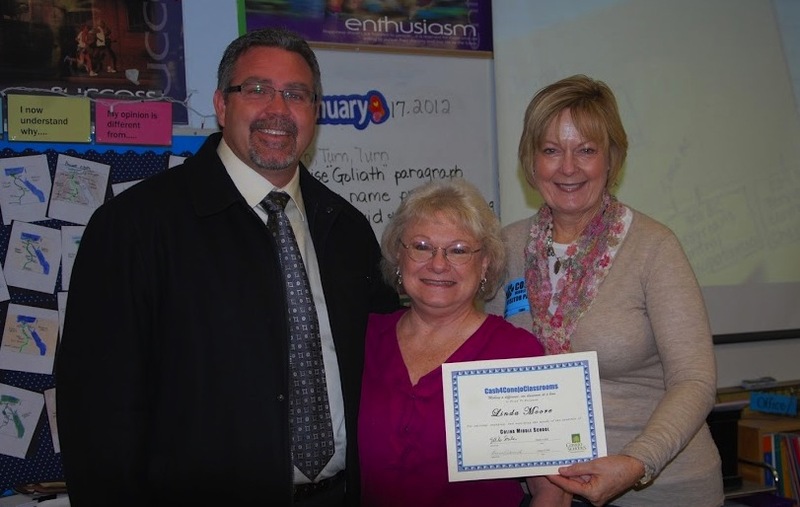 Sequoia Principal Vivian Vina and Dean of Students Jim Marshall joined us to congratulate Ms. Abbitt. 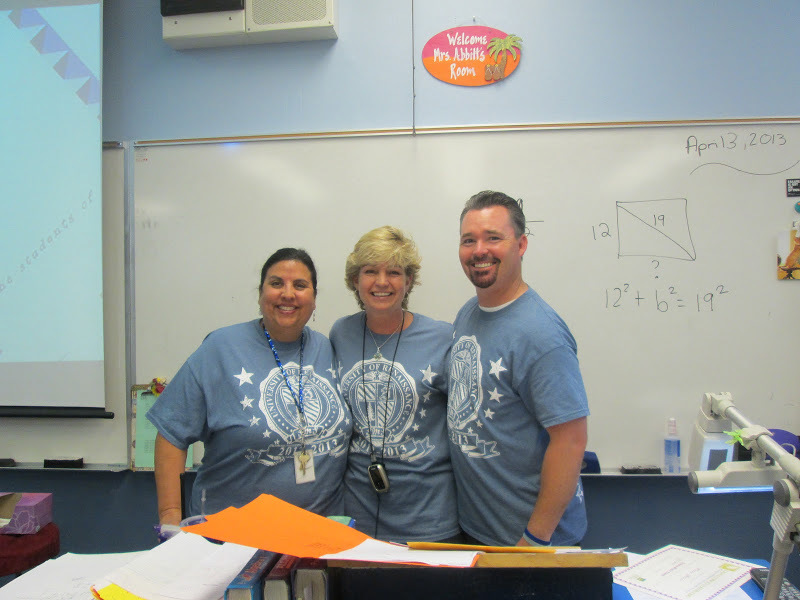 Happy students congratulate their teacher! 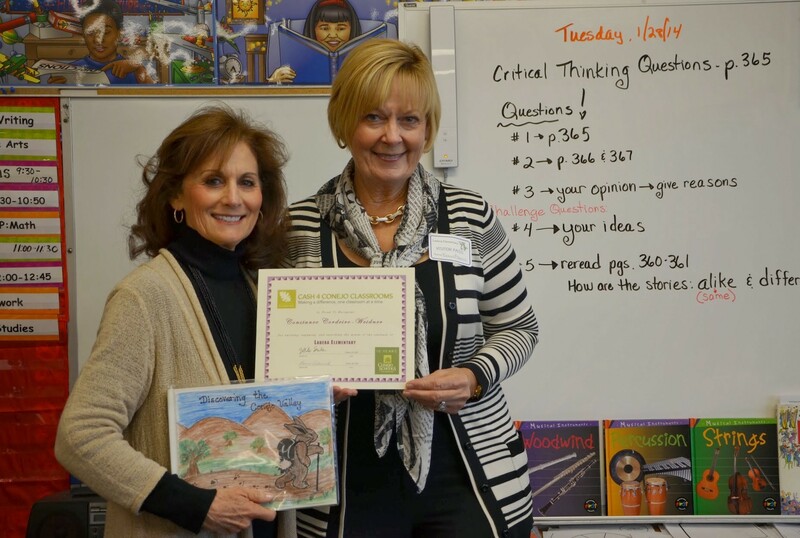 Linda Moore’s 6th grade students will be learning about Ancient Greece this spring. 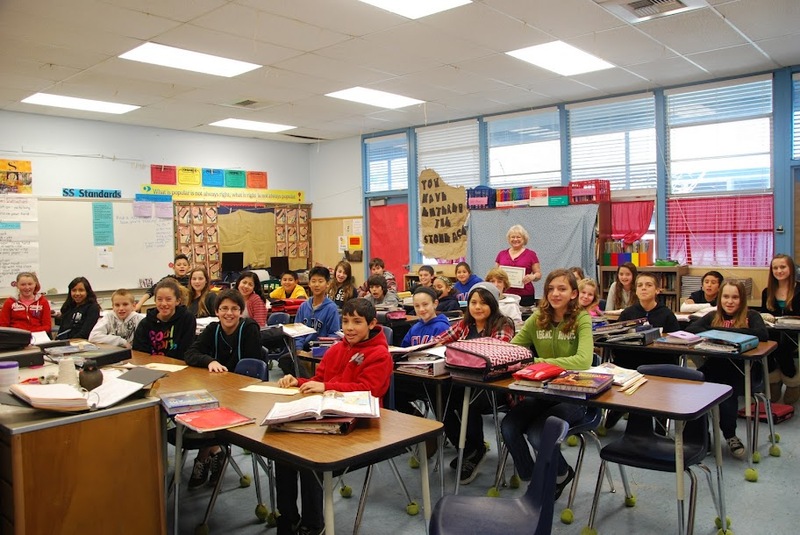 Grant money will be used to purchase class sets of new books and students will participate in a variety of hands on activities. 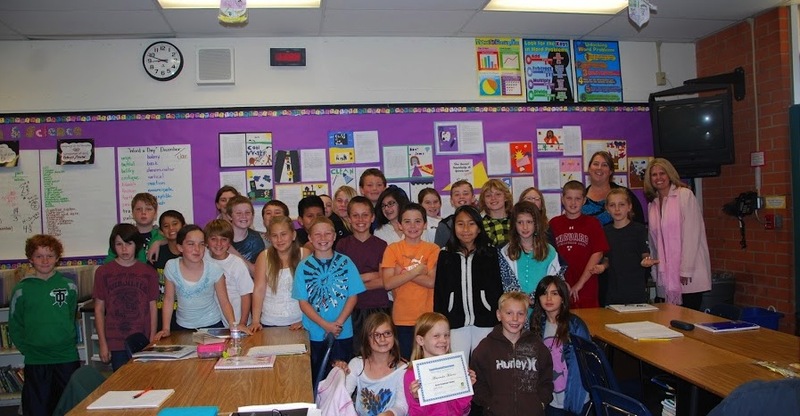 Ms. Haver’s students will be conducting inquiry based science projects with supplies purchased with Cash 4 Conejo Classrooms grant money. 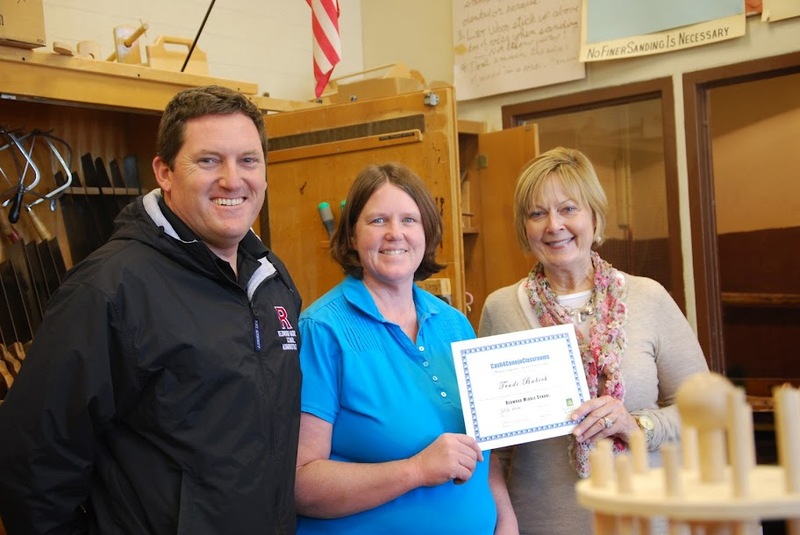 Trudi Babich will guide her students in the process of designing and creating dynamic automata, or kinetic sculptures. The possibilities are endless … and all are very exciting! 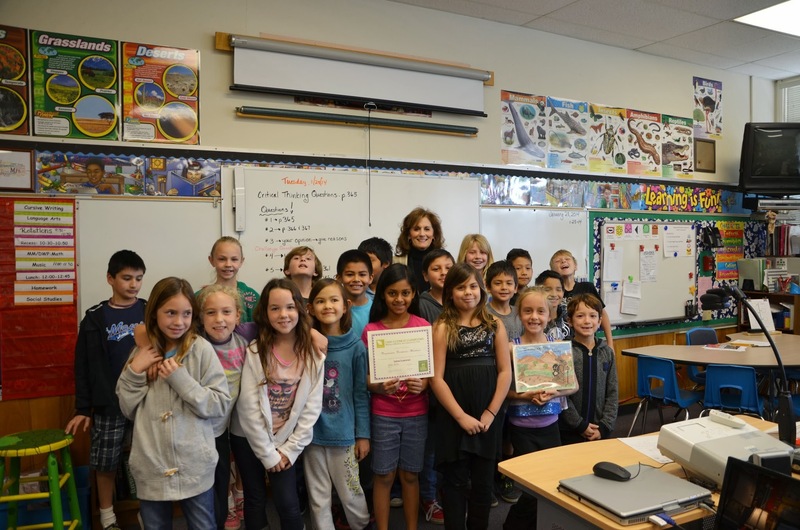 Ms. Cordeira-Weidner’s students will be making scrapbooks about the Conejo Valley. 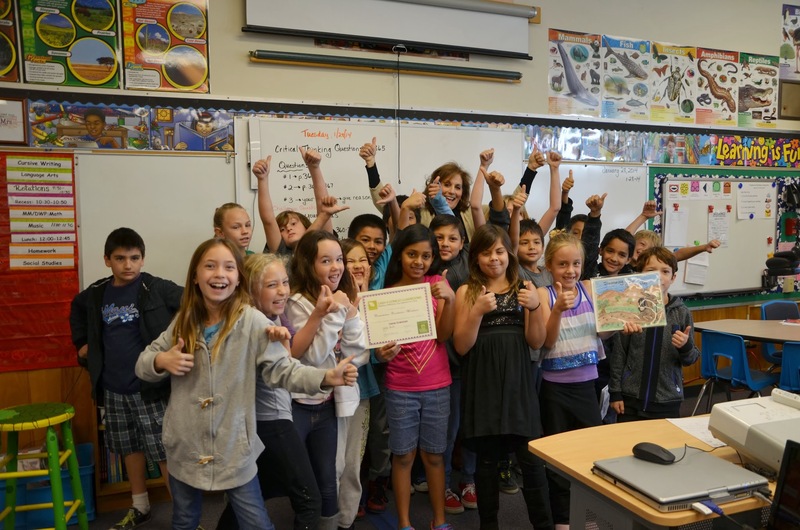 This project spans multiple subject areas including language arts and social science as students learn about the history of our community. 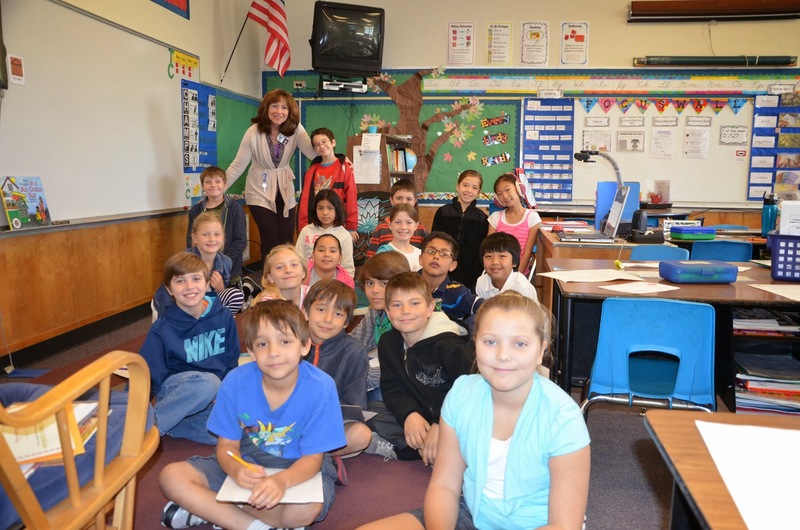 Ms. Weidner will share her resources with all 3rd grade teachers at Ladera. 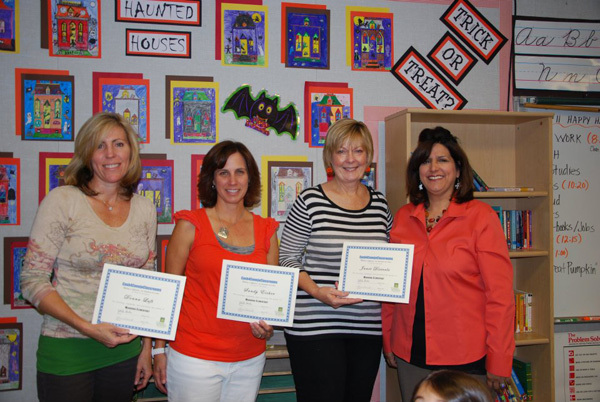 Cash 4 Conejo Classrooms awards 5 grants in October! 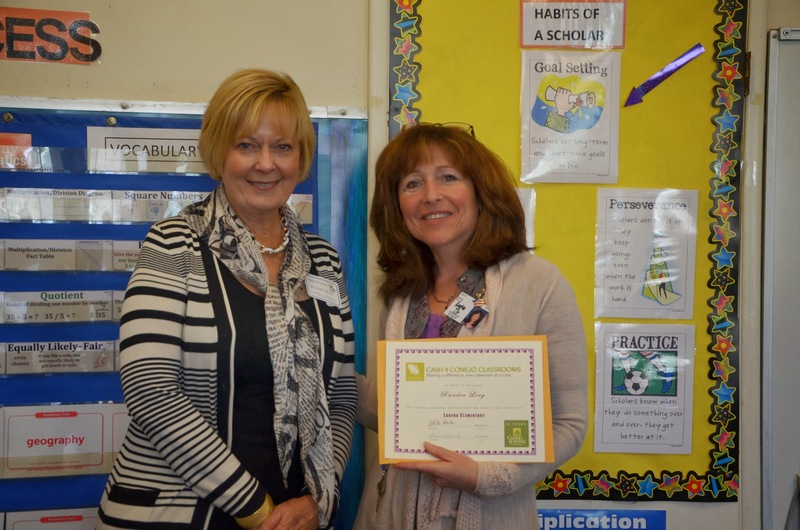 Lanette Clifford, Cypress Elementary School, Grade 4, Math Lanette Clifford, left, is pictured with Bonnie Adamick, Cash 4 Conejo Classrooms Program Chair. 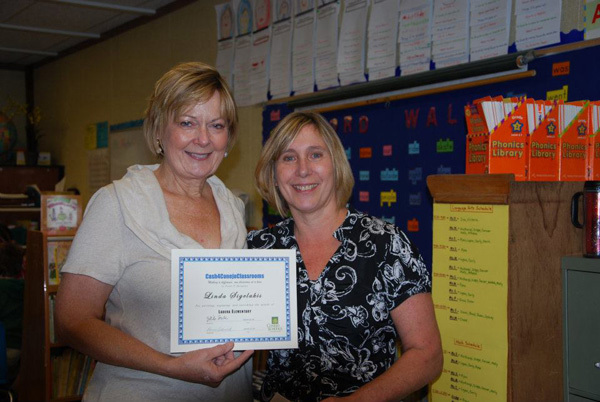 Ms. Clifford will bring the “real world” to her 4th grade students by setting up an interactive Classroom Economy in her classroom. 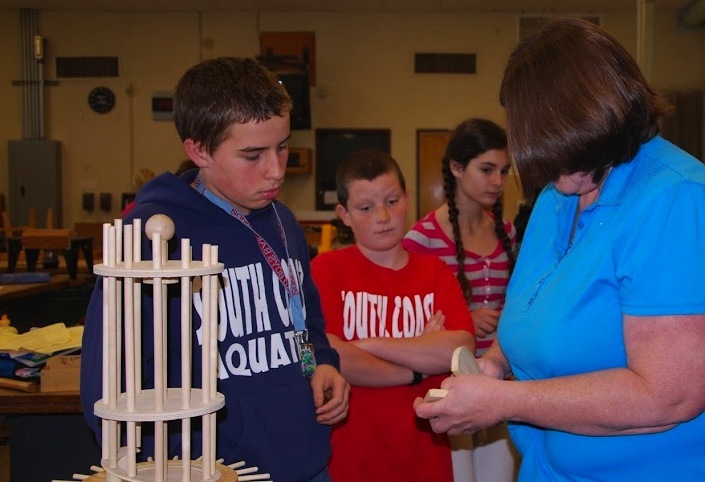 Students will first learn “What is an economy?” followed by ongoing hands-on experiences using a credits and debits system. Rich Bateman, Sycamore Canyon Middle School, Grades 6-8, Technology Mr. Bateman’s Grade 6-8 Computer Lab students will benefit from individualized learning resources and eLearning tools including video tutorials, instruction manuals, project examples and interactive simulations created with Adobe’s Captivate software. 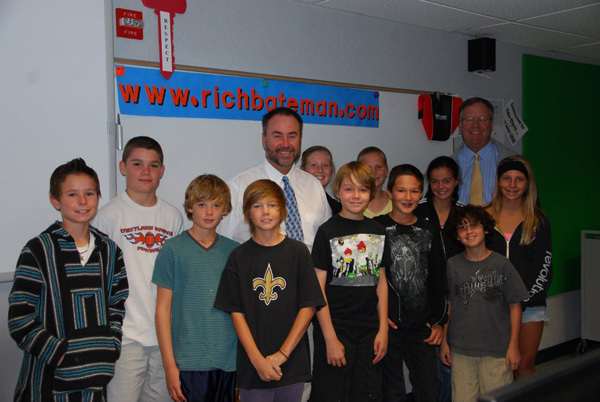 Below, Mr. Bateman and Sycamore Canyon Principal Jon Sand with students in the computer lab. 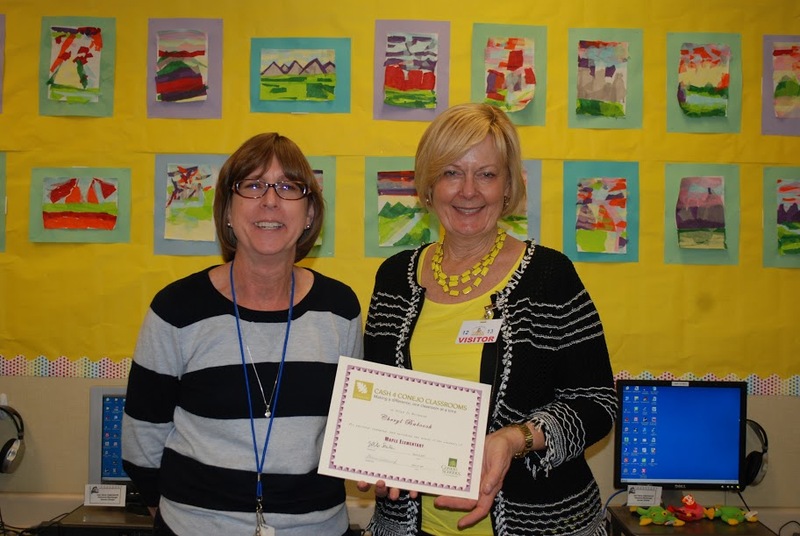 Donna Luft, Sandy Eicher, & Janet Dieterle, Madroña Elementary School, Grade 4, Language Arts Madroña 4th Grade teachers Ms. Luft, Ms. Eicher, and Ms. Dieterle have created a Book Club for their students. 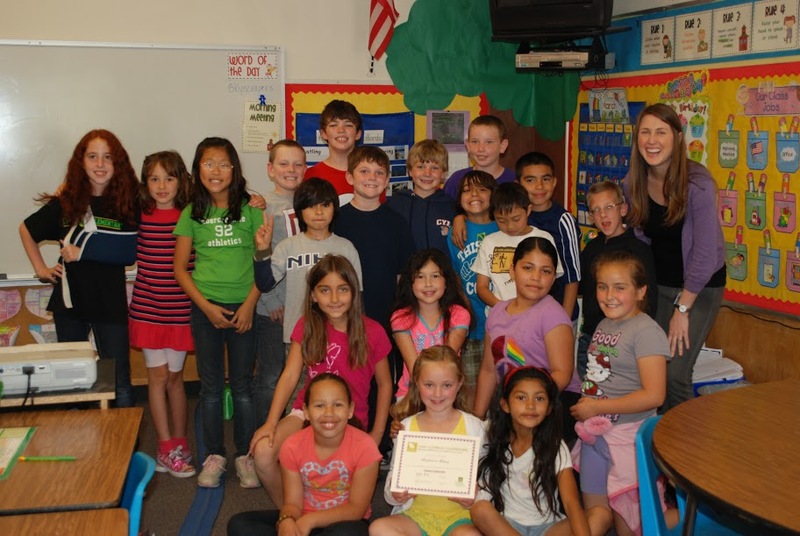 Throughout the school year, students will complete 8 projects to earn a Bachelor’s Degree in Reading, and motivated scholars may go on to earn Master’s and Ph.D Degrees. 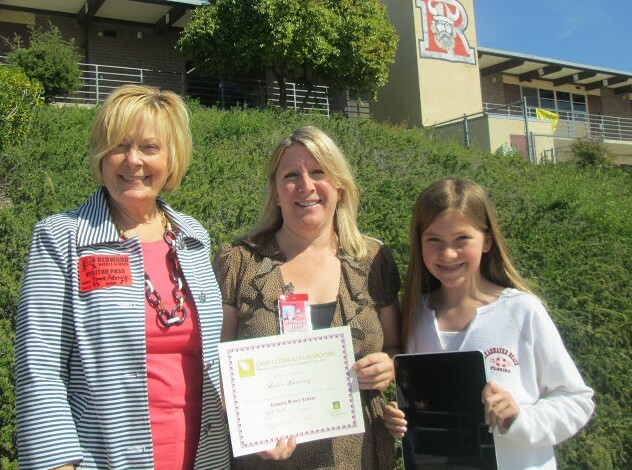 Linda Sigelakis, Ladera Elementary School, Grades K-5, Language Arts Ms. Sigelakis’s K-5 students will be creating photography journals throughout the holiday season, culminating in oral presentations at the end of January 2012. 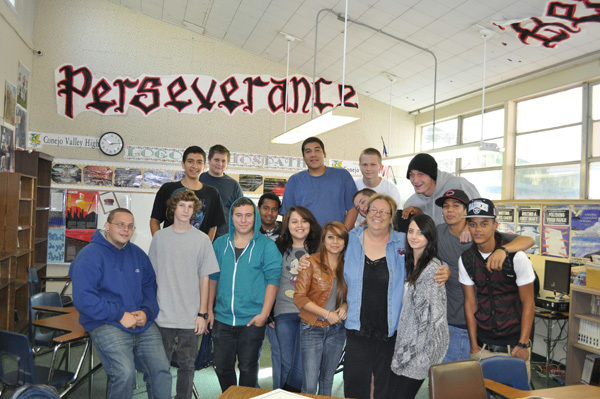 Below, Mrs. Sigelakis and her students, happy to receive funding for their project. 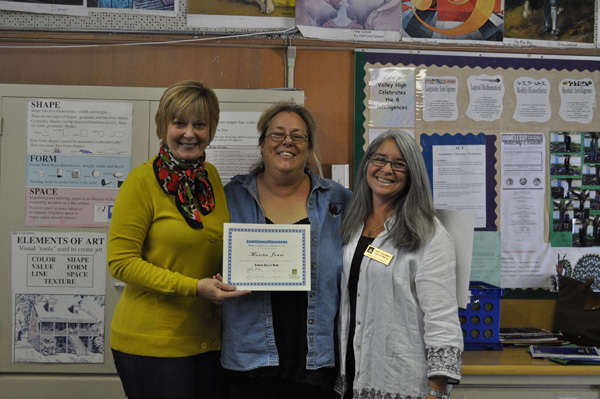 Marsha Jones, Conejo Valley High School, Grades 9-12, Literature Marsha Jones, center, is pictured with Bonnie Adamick and Cindy Goldberg, CSF Executive Director. Ms. Jones’s English students will participate in a 6 week poetry project that includes reading and discussion of many diverse authors. 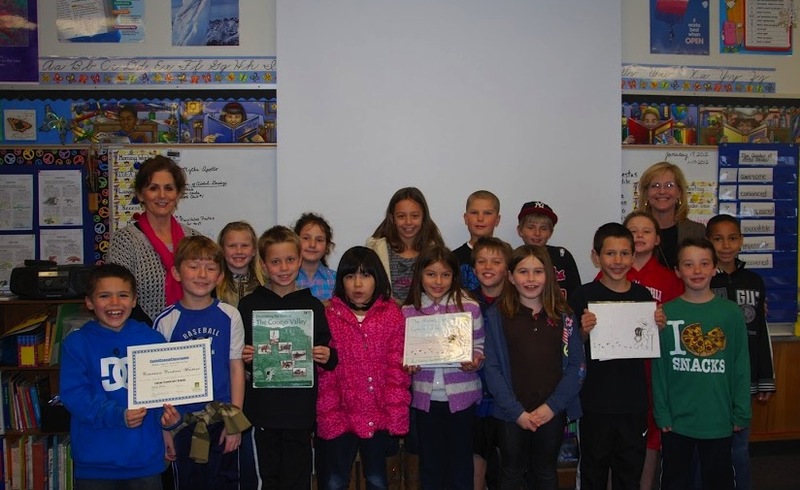 Students will write their own poetry and autobiographies to be published in an artistic literary class book. 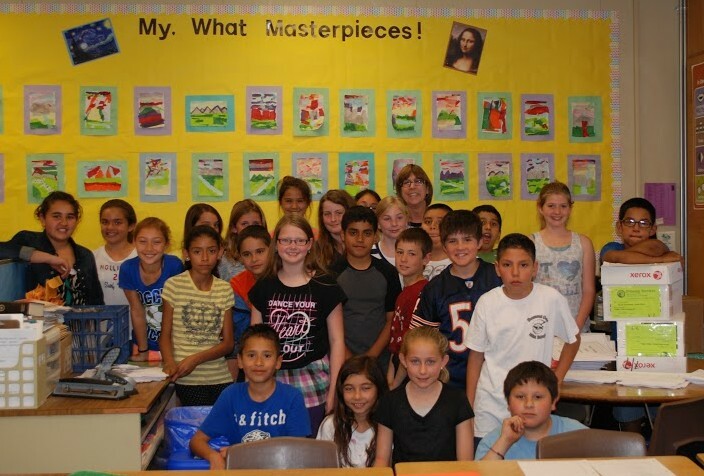 Below, Ms. Jones and her students pose for group photos.